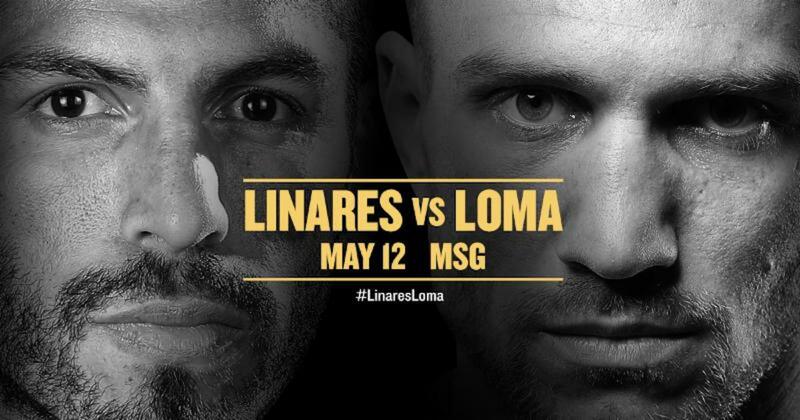 Is the upcoming May 12 fight the quite superb Vasyl Lomachenko will have with the talented, and naturally bigger, Jorge Linares, the toughest fight yet for the gifted southpaw? The size issue aside – Lomachenko going up to 135, having already conquered both the featherweight and super-featherweight divisions – this same question could have been asked ahead of Lomachenko’s recent fight with Guillermo Rigondeaux. Indeed, some fans did ask this ahead of the intriguing fight “Hi-Tech” instead won with apparent ease; making Rigondeaux flat-out quit. It’s to be hoped we will see Lomacehnko show his full arsenal of skills and weaponry on May 12 (the frightening thing is, we may well have seen Lomachenko win and win so commandingly having shown us just 50-percent or so of what he can really do if and when he has to). Can Linares, an established lightweight, in fact, in the opinion of most, THE best lightweight on the scene today, bring out the best in Lomachenko? Can Linares even beat Lomachenko? The proud champion who has been on such a good roll recently, is sure, he is convinced, that he will defeat Lomachenko next month. In fact, in speaking with ESPN Deportes, Linares said Lomchenko has been “protected” at pro level, and that as he has been beaten once before (by Orlando Salido), he can be beaten again. And Linares is fully aware of the size advantage he will hold over his challenger on May 12. Linares told ESPN Deportes how Lomachenko will be fighting a man “twice his size” when he challenges him for his crown. Salido, many moons ago now, did beat Lomachenko (in an over-the-weight affair, the tough Mexican opting to take a fine instead of killing himself to make 126 pounds) and he did it with experience, size and strength and cunning. Might Linares, 44-3(27) manage to pull off a similar thing next month? It’s a great fight, a fascinating fight, and arguably the best fight of this year so far – on paper at least. Now we need to see the two fighters perform, to the best of their abilities. Can Lomachenko make yet another good fighter, some would even say great in reference to Linares, quit? Or is the Ukrainian machine making a mistake by tackling such a fine fighter in his lightweight debut? Who has the most pressure on them in this fight, Linares or Lomachenko? Lomachenko, as he is expected by most to win. Linares might just surprise us, and Lomachenko, with a pull out all the stops, career defining performance. If this one does go into the later rounds, how will Lomachenko cope with the size and strength of the defending champion? Or can Lomachenko, 10-1(8) show his specialness as a fighter once again and make short work of Linares? May 12 promises to deliver one interesting big fight.